A modern Mexican marketplace designed to be a platform for the region’s artisans and purveyors who value quality and care in their products. The three-story mega-market is akin to Chelsea Market or Eataly in NYC, and harbors mini-kiosks of some of the city's best restaurants. It’s a place where you’ll find heirloom beans and grains for sale next to the finest Japanese sushi chef, down the hall from a fresh baked churro stand. Grab a glass of wine to sip while shopping or perusing the herb garden, or, check out the open-air rooftop beer garden. Sure, there are plenty of coffeehouses with library elements or bookstores with cafes, but Cafebrería El Péndulo-Roma in Roma Norte is special. 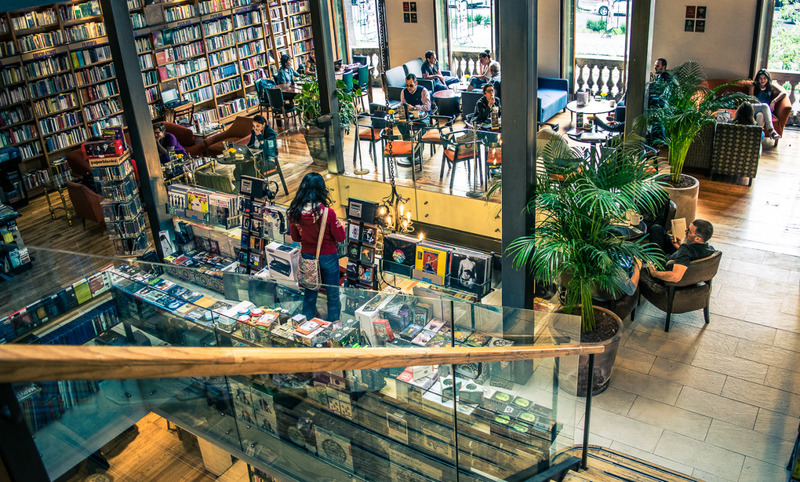 The library/bookstore component is spectacular with its walls and floors of books (a bookworm’s paradise), and the café serves delicious breakfasts (nighttime breakfasts, too!) and coffee. There is also a theater space on the third floor for small concerts and poetry readings. Did we mention there is also a bar? Pancakes, mezcal, and a good book sound like a great afternoon to us. Considered one of the world's most beautiful buildings, the Mexico City Palace of Fine Arts - or Palacio de Bellas Artes - is a harmonious synthesis of Art Nouveau, Art Deco, and Baroque styles, a style sometimes called "Porfiriano," after architecture-obsessed Mexican President Porfirio Díaz, who commissioned the project. The exterior, surrounded with gardens, rises in elegant columns and domes above the cool, green Alameda Central. Inside, it is an exceptional art exhibition, filled with a permanent collection of statues, murals, and other outstanding ornamentation. 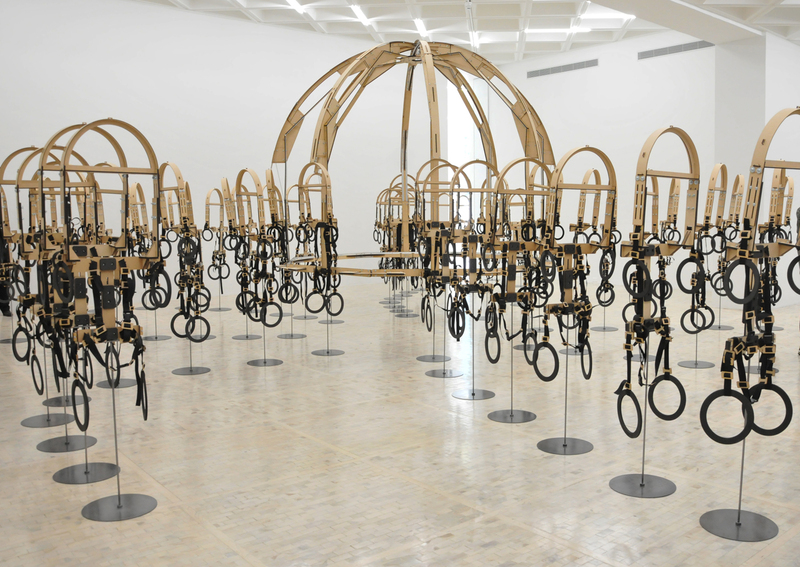 In addition, there are regular world-class art exhibitions open to the public. The recently renovated Bellas Artes theater (only available for viewing at performances) is itself a masterpiece, with a stained-glass curtain depicting the Valle de México. Based on a design by Mexican painter Gerardo Murillo (aka Dr Atl), it was assembled by New York jeweler Tiffany & Co from almost a million pieces of colored glass. Once you’ve seen Diego Rivera’s historical murals in the Palacio Nacional, walk a few blocks north to this 18th-century former Jesuit school, whose placid porticoes are lined with bitingly satirical works by his contemporary José Clemente Orozco. The king of Mexico City’s markets is La Merced, a winding maze of vegetables, fruit, spices, sweets, and hot foods like tamales, quesadillas, and chilaquiles. Located in the city center, La Merced is massive and varied — almost the size of four football fields. The market is filled with hundreds of stalls so carve out a full afternoon to stroll, taste, and explore without pressure. Landlocked Mexico City has surprisingly delicious seafood, and Contramar sets the standard with impeccable fresh fish. Located in an elegant, spacious dining hall, this well-loved restaurant offers an extensive menu and an impressive wine list. Order a bit of everything and share: the grilled octopus, the tuna tostadas, and the chocolate clams are truly fantastic. Don’t miss their signature dish – a whole fish, grilled to perfection and served with half red chile sauce and half green herb sauce. We recommend reserving a table in advance, – this spot is always packed. A walk to this hilltop castle -- home to the National History Museum, checkerboard marble terraces, fountains, and scores of historic artifacts is worth it for the tremendous views. The immaculate grounds here used to be an imperial palace, which later served as the residence of seven Mexican presidents. This remarkable contemporary art museum has featured some of today's most popular artworks, including Yayoi Kusama's Obsesion inifita. It's principally dedicated to the former private collection of artist Rufino Tamayo and temporary exhibits of cutting-edge modern art. Be sure to head to the top of the cross-shaped museum and take in the view of the city below. 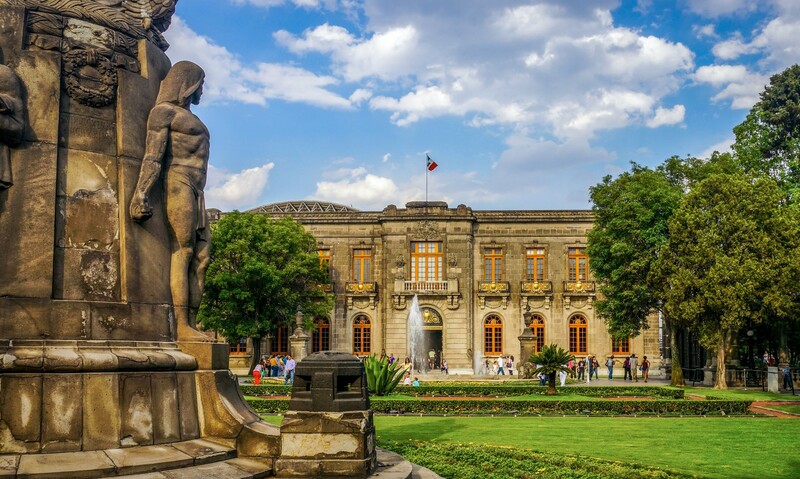 This world-class museum stands in an extension of the Bosque de Chapultepec. Its long, rectangular courtyard is surrounded on three sides by two-level display halls. The 12 ground-floor salas (halls) are dedicated to pre-Hispanic Mexico, while upper-level salas show how Mexico’s indigenous descendants live today, with the contemporary cultures located directly above their ancestral civilizations. The vast museum offers more than most people can absorb in a single visit. One thing not to miss while you're there, in a clearing about 100m in front of the museum’s entrance, indigenous Totonac people perform their spectacular voladores rite – ‘flying’ from a 20m-high pole – every 30 minutes. Note: Be prepared to wait in line to get in here if you're coming in after 10am. For the evening, head over to the trendy neighborhood of Polanco. To get to this cleverly concealed speakeasy, you’ll need to head through the refrigerator door of La Surtidora restaurant. Inside, an intimate black-and-white space with wooden and silver accents serves as the backdrop for mixology lessons, live jazz sessions and all-around coolness. Try cocktails like a mezcal Negroni, La Pinta (Zacapa 15 rum, port wine, lime juice, simple syrup and angostura bitters), or Falda Escocesa (gin, Drambuie, cucumber, lime juice and rose syrup). Make a reservation in advance. +52 55 5280 1278 or book online at the link below. Rated #16 on the World's 50 Best Restaurants List, Chef Enrique Olvera is reinventing traditional Mexican cuisine at Pujol. The stand-out dish here is a mole madre that's been cooked continuously for over 600 days, constantly developing deeper and richer flavors. With just 13 tables in a minimalist setting, Pujol is one of the toughest reservations in town. Once you snag a seat though, you'll find yourself enjoying traditional ingredients like cuitlacoche (corn fungus), escamoles (ant eggs), that are done in delicious, elegant, subtle and surprising ways. The folks behind this hip multi-level house in Colonia Roma were some of the first mixology pioneers in the city. While patrons used to complain that the carefully mixed drinks took too long to arrive, now, the much savvier crowd of thirsty guests gladly waits for concoctions like the Bohemian Tonic (Tanqueray London Dry, Becherovka, cinnamon, grapefruit bitters and tonic). M.N ROY is a clandestine spot in Mexico City’s hip Roma neighborhood hidden behind an ice cream parlor’s façade and designed by world-renowned Franco-Mexican architects Emmanuel Picault and Ludwig Godefroy. The place was once occupied by and is named after Mexican Communist Party founder, M.N Roy. The hidden club attracts a creative crowd — from graphic and fashion designers to architects — from all over the sprawling metropolis. It's the hottest and trendiest club in town with a different DJ every night. Unless you know a member, be sure to arrive before 2 a.m. The place fills up after 2 and goes until someone says stop — usually well after daybreak. Recommended by Bertha Gonzalez Nieves, co-founder and CEO of Casa Dragones Tequila.